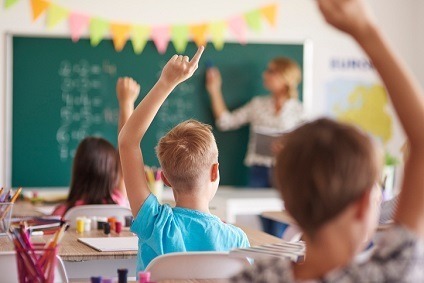 More than 1,600 teaching assistants in the north-east will receive a pay rise after a council dropped plans to force them to reapply for their jobs on worse terms, the Guardian reports. Following months of strikes and negotiations, Durham county council agreed on June 21 to introduce a new grading structure, which it says will see pay increases for 78% of TAs employed by the local authority. More than 2,100 teaching assistants (TAs) in Durham had been facing a pay cut of up to 23% when the council announced they would only be paid during term time, rather than the whole calendar year. In January many were told they would have to reapply for their own jobs when their union rejected the pay deal. Unison, the public sector workers’ union, is recommending its members back the deal in a ballot which opens on Monday, June 26. But the agreement has been criticised by TAs themselves, 472 of whom will still be facing a pay cut. Of this cohort 27 will experience a reduction of more than 10% in pay, the council admitted. The County Durham Teaching Assistants’ Activist Committee said it wanted more negotiations. “We have grave concerns that 22% of teaching assistants will still be facing a pay cut. Our campaign has been based on solidarity: knowing that some of us will be gaining at the expense of others is not what we have been fighting for,” the group wrote on Facebook. But Unison’s northern regional secretary, Clare Williams, praised the “revised and improved offer” and said it showed that industrial action had been a success. “Strikes and relentless campaigning by dedicated teaching assistants, along with the support of the community, have been crucial in moving the council from its original position,” she said. She insisted the union would continue to fight for members who are facing pay cuts. “There’s an absolute commitment from Unison to find a satisfactory solution for all our members,” she said. Teaching assistants earn an average of £19,349 annually, according to Total Jobs.